Oslo Pendant Light. Mid-century modern light. Mid-century modern. Mid-Century Modern light fixtures were the source of inspiration for the Oslo Pendant Light. Mid-century modern is a term that describes mid–20th century developments in interior, product, graphic design, and architecture, from roughly 1933 to 1965. Cara Greenberg was the first author to formally use the term to describe the style that is now recognized by scholars and museums worldwide as a significant design movement. The enduring popularity of the Mid-Century Modern style is based on many factors. It gave us clean lines, gentle organic curves, and a love for different materials. This style grew in America based on earlier styles such as Bauhaus which began in Germany. Constructed of metal and wood, the Oslo Pendant Light is available in a variety of finishes and accents. 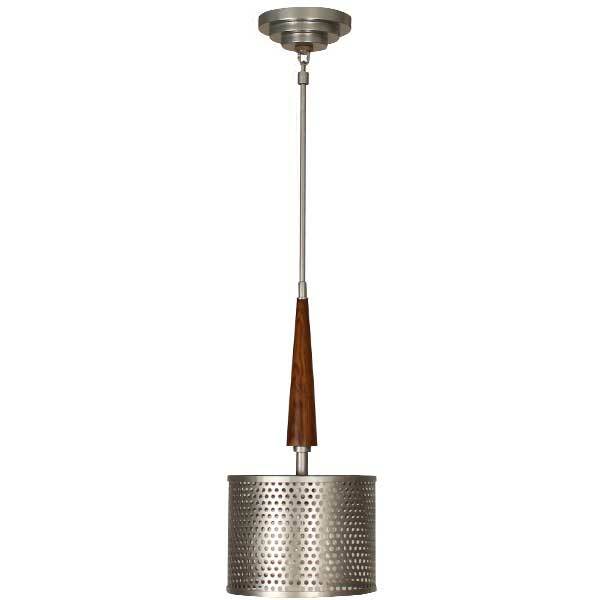 With its European style understated elegance, it makes an exceptional down light for a breakfast table, bar, or kitchen island. Custom sizing is available. The Oslo Pendant Light was designed by Shah Gilani, ASFD.